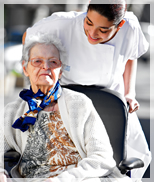 We provide homecare services in Dallas and surrounding counties. Before home health care services became an option, patients are bound to stay in hospital confinement for extended periods to receive treatment and recovery services. Today, the popular and more convenient option of home health care enables patients and families to enjoy the benefits of their home as well as the convenience it offers. Stay at home and get excellent home health care services from Ebenezer Home Health Care. Ebenezer Home Health Care is a well-known provider of nursing care, therapy services, personal care and medical social services to the residents of Dallas including its surrounding counties. We make it a point to remain within our quality standards so that clients will continue to invest their loyalty in our quality services. We hope that you become one of our future valued clients. We are open to any questions and we are happy to assist you with your medical needs. We accept Medicare, Medicaid, and most insurance. We have a 24-hour on-call service. Office hours are 8:30 am - 5:00 pm Monday to Friday. You're invited to know our company better. Set an appointment with a case manager or intake coordinator. We also provide consultation to determine the right set of care programs or home health services for you or someone you love. Call in and talk to us about your needs - 972-289-9400.